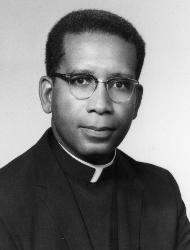 WASHINGTON (CNS) — Fifty years ago, Josephite Father William Norvel thought it was time for black priests to come together. The priests returned to their parishes resolved to “have the church do something about” racism, he said. The priests’ and sisters’ organizations have had a vibrant history and will celebrate their 1968 founding July 28-Aug. 2 in New Orleans. The seminarians and deacons will be there, too. “I belong to the same church. I know what the social teachings of the church are and we as a church see this and ignore that,” he told CNS. Still, black women religious and priests expressed concern that African-American evangelization is being overlooked again within the church. They voiced concern that diocesan reorganizations and parish and school closings have disproportionately affected African-American communities. “It leaves the impression that the Catholic Church is pulling out of the black community,” Father Taylor said. Just as worrisome is the rise in white supremacy, overt racist comments in the media and in politics, and emerging policies that harm minority communities. The priests and women religious said they believe the church must become more vocal in offering the moral guidance necessary to change people’s hearts. Sister Roberta Fulton, a member of the Sisters of St. Mary of Namur and president of the National Black Sisters’ Conference, credited congregations of women religious for addressing racism within their structures. 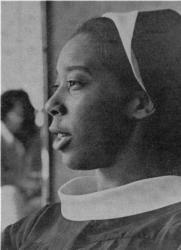 She and others called for stronger efforts to promote religious vocations among African Americans as key to addressing their concerns. Precious Blood Father Clarence Williams, senior parochial vicar at St. Joan of Arc Parish in Chagrin Falls, Ohio, in the Cleveland Diocese, was among the organizers of the black seminarians’ organization soon after the priests’ caucus formed. He said that the early annual joint gatherings of the associations helped encourage participants to recommit to their ministry. “Meeting yearly with the religious women and priests and really reflecting on our reality in our communities, within our diocese, within assignment, we found our wisdom in that community to stay (in ministry),” Father Williams said. “Those without the support didn’t make it. It became to discouraging. It became too hostile,” he said. 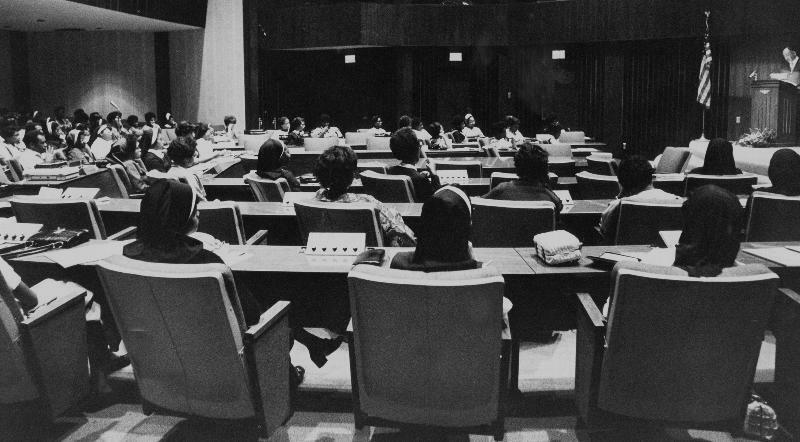 For women religious, the annual gathering was just as inspiring. 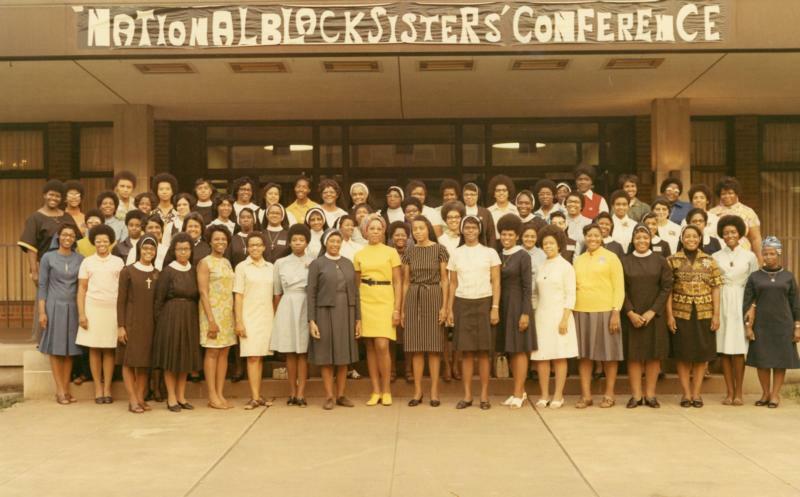 “The black sisters conference was wonderful because it brought us all together,” recalled Sister Juanita Shealey, a member of the Congregation of St. Joseph in Cleveland. “We sang, we danced, we prayed, we talked about how wonderful it was to see other black sisters. Members of both organizations also lamented the overall declining number of vocations to the priesthood and religious life, especially among African-Americans. With fewer vocations, it also means fewer opportunities for African-Americans to assume leadership positions in the church. “Over the years we have made recommendations to get priests named (bishops). … But it seems as if the church is much more concerned about the Hispanic community than they are about the black community,” Father Benz said. He said rather than honor one person with an award, 50 exemplars have been identified and will be identified at the gathering. The honor will serve to show not just where the organizations have been, but, Father Taylor said, to but hopefully will inspire members to carry on their legacy to achieve full acceptance in church and society.